This process involves inhalation of small doses of a sedative to induce sedation. The popular sedative used for this purpose is usually nitrous oxide, also known as laughing gas. This gas is administered via a face mask usually placed over the nose of the patient and helps the patient to relax. We will regulate the amount of medication you receive, and the effect of the gas tends to wear off quickly. Oral sedation includes minimal to moderate sedation while ingesting a sedative through the mouth. The most common used drug is Halcion which is typically taken one hour before the start of the dental procedure. Just like the gas, you will remain awake after taking the pill, but you will feel a bit drowsy. In some cases, patients when given oral sedation fall asleep but can be woken up by a slight shake. Intravenous moderate sedation is administered via your veins. The effects of the drug via this method are usually very fast. General anesthesia is used to induce unconsciousness. The induction occurs because drugs depress the central nervous system and alter the level of consciousness. The effects of general anesthetics don’t wear off quickly, thus the patient cannot be woken up until the induction is over. Despite the kind of sedation, you will be given some local anesthetics at the site of operation to relieve pain while we perform the procedure. When you book your appointment with us, we will advise you on the appropriate sedative for your case and help you avoid any allergy complications. Nitrous oxide usually goes by many name. Some of the dental terms include laughing gas, inhalation sedation, and happy gas. It’s main purpose, though, is to have patients be sedated for a short period time during dental procedures. The dentist administers the colorless, odorless gas to ease anxieties during a procedure and make to ensure the patient’s comfort. Since nitrous oxide is a conscious sedation method, the patient will not go to sleep or be “knocked out.” The patient will be awake enough to hear the dentist and follow any instructions that might be given during the procedure. Oxygen is added to the nitrous oxide gas most of the time for safer results. The dentist will begin the sedation by placing a hood over the patient’s. The gas will be inhaled with no issue as they breathe normally. The patient will begin to feel light headed and then begin to notice a tingling sensation that is usually in the arms and legs. Or, they may feel a warm, vibrating feeling through the body. Once the nitrous has been fully administered and is fully effective, the patient will be relaxed and have a euphoric feeling. This will allow the dentist to perform whatever procedure without the patient being stressed or in fear. The nitrous oxide can be used administered for as long as it is necessary and can be turned off for the patients convenience. Once the nitrous is stopped, the gas and its effects will leave the body within a few minutes. The patient should have no lasting effects and will be able to take themselves home under their own power after the procedure. Some patients may experience slight nausea when nitrous gas is used, but other than that there are typically no severe side-effects. Avenue Dental Care provides multiple sedation options to make sure our patients are relaxed and comfortable as possible. Our most commonly used sedation dentistry medications are benzodiazepines. These medications are safe and effective and are administered orally prior to treatment. Patients will be awake and able to respond to questions while using an oral sedative. 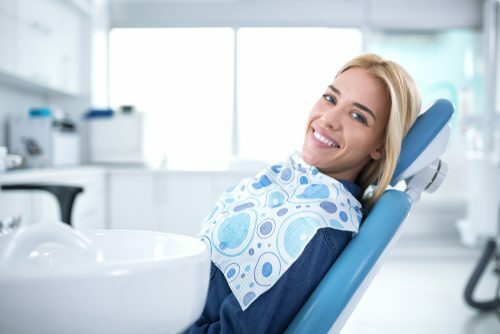 They will feel calm and be mostly unaware of the sights, sounds, and even smells of the dental office during the procedure. It is possible that the patient may fall asleep during the procedure while undergoing oral sedation. IV Sedation is administered intravenously through a drug that goes to the vein. This is a very safe and reliable way to attain a calm and relaxed state. The majority of patients who choose this option experience a temporary state of amnesia through IV sedation. The drugs result in a partial or complete memory loss with minimal recall of the actual treatment. In addition, time seems to pass very quickly with this treatment option.